When you have an idea about doing something, something you know would be valuable to your life, do you often stop and think about it, then end up not doing that “something”? Let’s say you think about calling someone you haven’t talked to in a long time. It seems like a good idea for a second or two, but then something inside you stops you from doing it. You come up with a reason for not calling that person. And, so you don’t call them. This happens a lot! It happens to me, a lot! There’s a voice inside my head that keeps me from doing what’s important. Well, if you’re totally impulsive, it does happen to you, I’m sure. 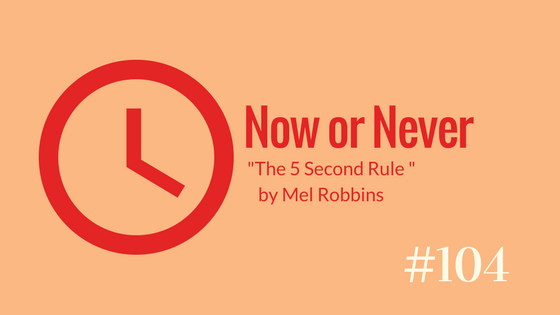 According to the author of a book called “The 5 Second Rule”, the author’s name is Mel Robbins, the secret to being more confident and successful comes down to making the right decision in the 5 seconds after you have an idea.